In a Nutshell: Payments systems have evolved rapidly in the digital age, and banks and other financial services companies have had to utilize multiple legacy systems from various companies to keep up with demand and preference. Modo helps companies with technology that allows for interoperability between multiple payments systems. The company currently focuses on, pay-outs, pay-ins, and checkouts for financial services institutions. 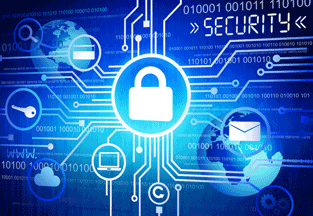 It maintains high security standards through its tokenization, encryption, and cryptography methods. With plans to help companies optimize decline rates and approvals, Modo seeks to bolster its role as a payments plumber that provides the pipes to facilitate the use of multiple payment systems. From his vantage point in the traditional payments processing world, Bruce Parker watched the birth of the modern payments industry as digital technology exploded in the early 2000s. For decades, cash, checks, and credit cards had essentially been the only payment methods for individual consumers, businesses, and banks. The system could be slow, but in the pre-digital dark age, it was just the norm. 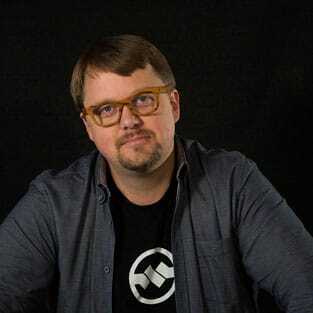 Bruce Parker is the Founder and CEO of Modo, based in Dallas, Texas. Nobody knew what payment possibilities lie ahead. But Parker had an inkling that mobile technology would be making a big impact in the payments industry. After investing more than a year of time and energy studying the mobile issue for his employer, the company never bothered to listen to the results of the project, Parker told The Dallas Morning News. In 2010, Parker quit his job with the traditional payments processor and launched his own company, Modo. 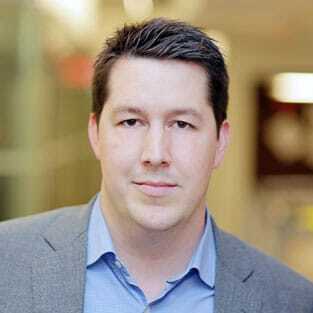 Parker said his original idea was to help brands develop their own payment apps. After honing Modo’s technology and looking for a niche in the mobile payments world for several years, Parker told The Dallas Morning News he realized his company needed to pivot. 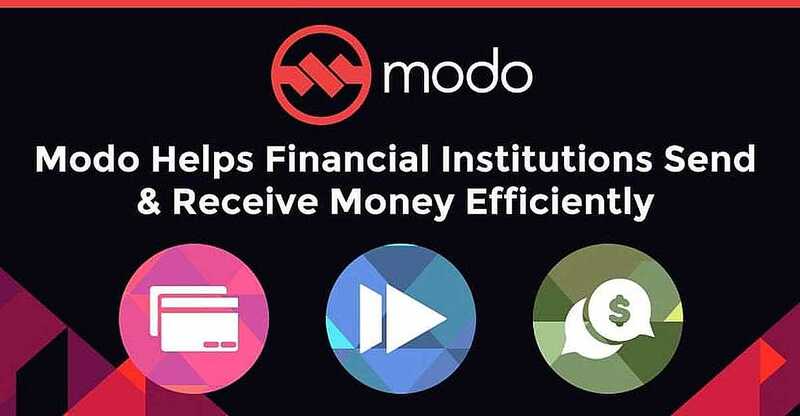 Modo eliminated the consumer-facing element from its product and used its proprietary COIN technology to re-shape its product to become a payments plumber of sorts by providing the pipes to facilitate the use of multiple payment systems. As the payments industry evolved, banks and other players in the financial services industry were overburdened with multiple payment systems serving various purposes and audiences. Additionally, the institutions were managing their own legacy systems and trying to make all of these processes interact with one another in an effective way. Brian Billingsley, Modo’s Chief Revenue Officer, said this means a bank or other institution can use multiple payments systems, like PayPal, China’s Alipay, and ApplePay, and Modo will handle the behind-the-scenes business of making sure money is transferred safely and securely between systems and parties as needed. Many companies in the finance industry are attempting to solve the problem of multiple payment systems and services through integration, but Billingsley said that’s not the solution. Piecing together multiple integration methods is not the right path to innovation. Modo’s services helps to reduce friction between payments systems. Integrations also require multiple updates, incur high costs, and demand significant effort just to keep the system functioning. Billingsley said, rather than integration, the idea behind Modo is interoperability. “We created this model intended for mobile use, but when that didn’t take off we realized that we still had this great interoperability platform that allowed you to interoperate very disparate payment systems that don’t normally talk to each other, like loyalty programs, credit cards, debit cards, or wallets like PayPal,” he said. The three main areas Modo currently focuses on are checkouts, pay-outs, and pay-ins, Billingsley said. Brian Billingsley, Modo’s Chief Revenue Officer, explained Modo’s unique interoperability approach to payments systems. Although those large institutions are very sophisticated in moving money and managing accounts on a global scale, Billingsley said the problem is that consumers no longer want a paper check, or consumers in various regions may prefer any number of mobile wallets through which to receive funds. Modo helps these financial institutions disburse funds globally to any endpoint or system that clients need. And pay-ins are just the reverse of pay-outs, he said. Instead of money going out to small businesses or consumers, pay-ins are money coming in. A large corporate institution needs to collect funds — whether it’s through bill pay or services rendered — and consumers don’t have cash or prefer not to pay with cash, so they want to pay with a service like PayPal or Alipay, he said. “The third area — checkouts — is one where we’ve really been focusing a lot of efforts recently, and we’re very excited about it,” Billingsley said. Merchants want to turn on new payment methods, credit options, or digital wallets, he said. And Modo offers a tool that can turn any payment method into a card on the backend — a simple widget that a product manager could put on his or her company’s website to test out and see if it’s right for that company. Ultimately, Modo allows acquirers, processors, and payment providers to combine multiple payment tools and funding sources into one seamless checkout experience that reduces friction that often exists for the consumer. With the occasional headline story about a big corporation being hacked for consumer data, merchants and consumers today are rightly concerned about who is handling their data, and what security methods companies are implementing. Modo employs top-level security techniques for handling secure data. Modo’s security model includes the cloud-based Hardware Security Modules (HSM), which are considered the gold standard for sensitive data and keys, and they form the foundation of the company’s encryption and cryptographic functions. The company encrypts sensitive data at three different stages of its process: in-flight, at-rest, and during authentication. Finally, Modo also employs a variety of options for tokenization, which is assigning alternate identifiers to refer to sensitive information, according to the website. With the choice of native tokenization, non-routable tokenization, and routable tokenization, companies don’t have to change the tokenization strategy they prefer. As new payment systems continue to pop up and more financial services companies realize the need to streamline their processes to allow systems to work together efficiently, Modo’s value as a payments plumber has become ever more evident. Billingsley said Modo plans to continue to refine its current services, and it will also be turning its efforts toward optimization services for merchants with a new checkout product in the near future.